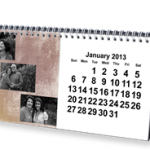 You are here: Home / photo deals / Custom Photo Grocery Tote and 40 FREE photo prints for just $1! York has a fun new promotion! 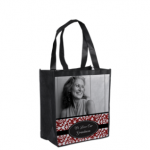 Make your own custom photo grocery tote bag and get 40 FREE photo prints, too! Use your bag at the grocery store (some stores like Target will actually give you a “bag credit” when you bring your own bags!) 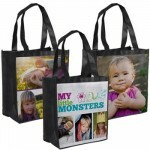 Show off your kids or your business logo! You can use your bag at the grocery store, the pool, or when you’re on the go! Make sure you enter the code YORKTOTEAD at check-out to get this deal. 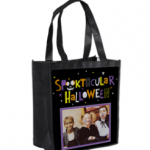 This bags are normally priced at $8.99 each! When you’re done creating your back, make sure you upload your photos to take advantage of the 40 free photo prints, too! You will have to pay a shipping and handling fee of $3.99, but that’s still a great deal for all of this! NOTE: Shipping and handling may vary by location! 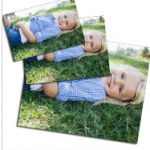 FREEBIE ALERT: 165 FREE photo prints! It is saying my shipping is going to be almost $7 for one bag and 40 photos. Is that right? Did you have a code for shipping also? Kristina – shipping for me was $3.99 the first time around. The second time around, I ordered 3 bags and my total, with shipping, was $10.99 (so shipping was $6.99). I’m not sure what the deal is unless shipping varies by location? My total charge, for just one bag, was 4.99. Not bad, for a good way to show off my Disneyland memories! Thank you for the great tip! Fun idea Rhea! I’ve been waiting for my Disney photo pass CD to get here so I can make some photo books and another bag, too! !